You would be gorgeous in any color, but are just purr-fect the way you are! Weez like purrple too, but weez agwee yous a bootyful bwown. Gweat foto. We like purple too. Fortunately for your bootiful furs, purple shows up really well for you. that IS super cool though, your whiskers look amazing! 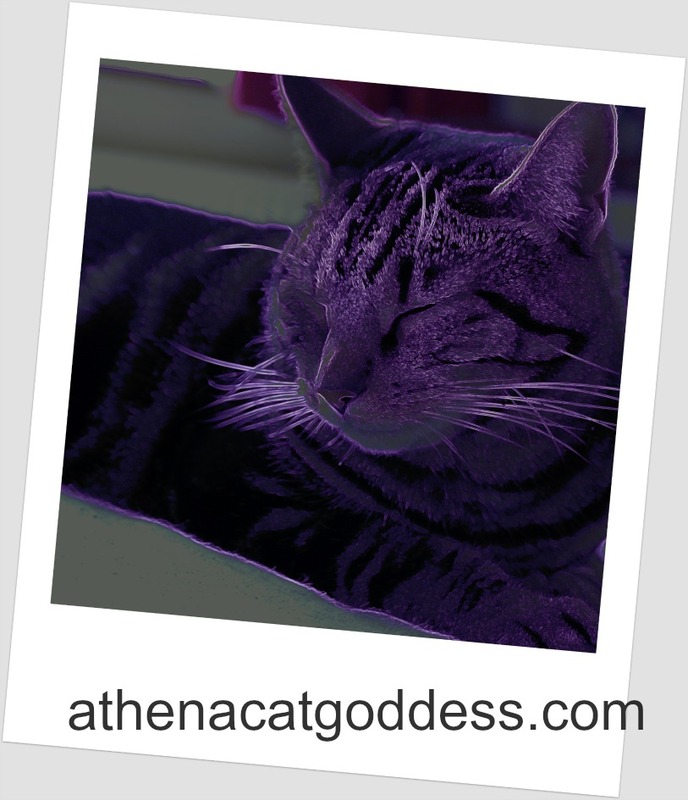 Athena, you're beautiful in purple. Mom wishes she had that idea but her creativity is a bit limited. Royal purple for a royal kitty! You're a purrfect purple!! Ellie and Allie are Lilac Points (like Nellie!!) and they love purple too. Oh, purple is my favorite color too! You look amazing but it's good that it is only in the picture. Your real fur is so beautiful. Athena Purple is our favorite color too! We love how you look -- but then that is always fabulous! That looks cool! We think you would look good in any color, Athena. Whoa! Purple cat at night.